Maple - the new range of textiles from TEAM 7. With the new Maple range of fabrics from Kvadrat we now have even more high-quality textiles for you to choose from when designing your chosen furniture. These fabrics are woven with a high proportion of viscose, a glossy cellulose fibre made from wood. Viscose gives the fabrics a special sheen, which changes depending on the light conditions and the perspective of the observer. The Maple collection fabrics are woven with a chenille yarn, which has a soft pile, velvety appearance and distinctively appealing texture. With 13 colours to choose from, you can select individual covers in a harmonious palette of natural shades for all your chairs and benches, and for float and mylon beds! New metallic surface in matt black. Metal with a matt black finish is perfectly suited to an industrial chic style, and also to many other types of modern interior design. 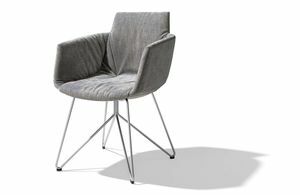 In addition to the swivel base for the lui chair, our matt black finish is now also available for the wire-frame lui and grand lui chairs, and for our magnum and f1 cantilever chairs. The base of the tak table can now also be made in matt black, to match, as can the slides for cubus pure occasional furniture. 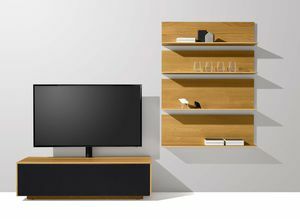 In our living range, the design options for the lift coffee table and our TV pillar now also include matt black. In the kitchen, matt black handles are now included in our extensive range. 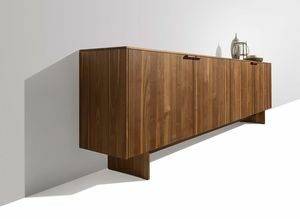 More options for filigno occasional furniture. 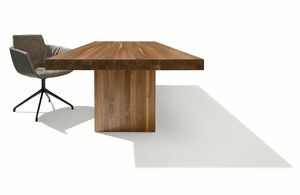 New, elegant wooden panel ends - perfectly coordinated with the new tema table - extend the range of design options for our filigno occasional furniture. This means we can now create designs made entirely of solid wood. New wooden handles are also available to match. The refinement of the design picks up on the delicate material thickness of the wooden casing that is typical for filigno. A slight recess on the underside of the handle makes it pleasant and easy to grasp. You can feel how much we love wood! 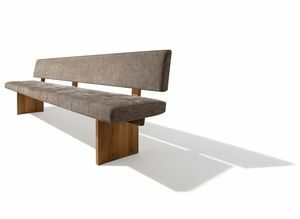 yps bench with wooden panels. Our popular yps bench is now available with a new wood-panel base, creating an elegant and minimalist version that is the perfect companion to the tema table. Both also feature the characteristic stretcher bracing. It's not only a design element but also guarantees the highest stability, despite the delicate material thickness. Recharge your energy levels with Swiss pine. Swiss pine has been shown to have a positive effect on the quality of sleep and general well-being. To give you more options for enjoying the benefits of this unique wood type in your bedroom, we are extending our range of Swiss pine. 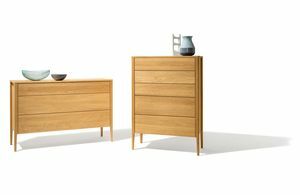 Discover our nox and lunetto bedroom furniture in new Swiss pine versions. New hanging bedside shelf for TEAM 7 beds. Our new console offers a flexible alternative to the classic bedside cabinet. Its universal form means it can be combined with many different styles of bed. Clever construction makes it easy and quick to fix into place by the bed. Anyone who doesn't need much storage space beside the bed, but still likes to have a neat place to put things down, will love our compact hanging bedside shelf. 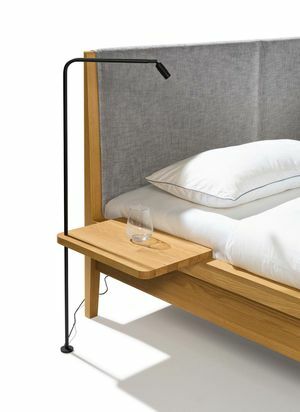 An integrated LED light can be included for those who like to read in bed. New pro interiors for kitchen cabinets. Our new inserts offer simple and flexible options for versatile dividers inside your kitchen drawers. Individual modules such as knife blocks, spice jars and foil rolls can be configured individually, creating inserts that are tailored exactly to fit each customer's individual preferences and needs. 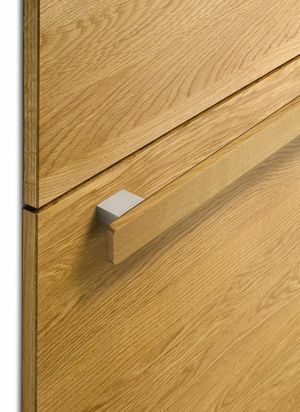 A special solid-wood chopping board can also be integrated into the drawer fittings. The new drawer interiors have a particularly sophisticated and elegant appearance, thanks to the ingenious use of wood combined with aluminium. 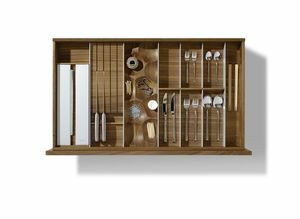 A particular highlight is the organically formed utility insert, made of solid wood, with beautifully carved compartments for matchboxes, elastic bands and all the other little things that tend to accumulate in kitchens. New bar handle for kitchens. Ergonomically designed handles are particularly desirable in kitchens where a lot of cooking gets done. Our new bar handle is ideal for this, with impressive strength and a neat, angular style: this new handle is pleasing to both hand and eye. Its striking form adds a fresh design feature for your kitchen. It's a great way to enjoy the sensual appeal of premium solid wood, and fits beautifully with either wooden kitchen furniture, or as a contrast with ceramic or coloured glass fronts. 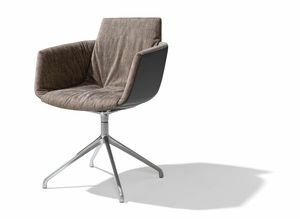 An aluminium version with stainless steel finish offers yet more design options. The two versions - wood and stainless steel finish handles - can also be combined in the same kitchen. 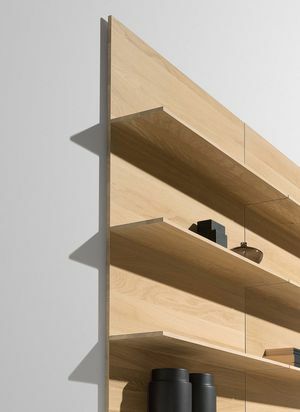 filigno wall shelf for kitchens. Versatile shelves from the filigno range also offer new planning options for the filigno kitchen. The ingenious construction of this wall shelf makes it particularly robust, so that storage jars, cookbooks or pots of herbs can be grouped together on these delicate-looking solid wood shelves with confidence. These wall shelves are perfect for open-plan kitchen-living areas. The filigno wall shelf is ideal as a repeating design element that provides continuity from an open kitchen area and dining zone through to the living area.